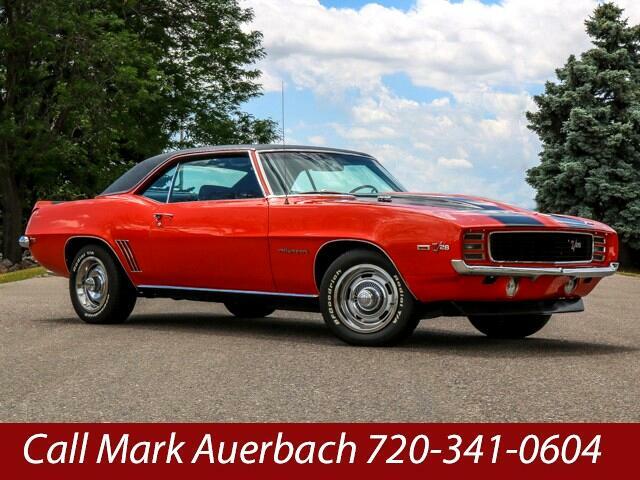 Used 1969 Chevrolet Camaro RS Z/28 for Sale in Littleton CO 80120 JFR & Associates, Inc.
You have to see this car to really appreciate the craftsmanship and how well it looks for its age.Frame-off Restoration - Numbers Matching DZ 302 Engine - Correct M21 4 Speed transmission - Original 12 bolt Posi Rear with 3:73 gears. Show quality original color-Hugger Orange with black vinyl top - Power steering - Power disc brakes - Tilt steering wheel - A.M radio - Cowl Induction - Black leather front bucket seats - includes set of like-new Polyglas Tires. Don't miss out on this one-of-a-kind classic Camaro.